The ophthalmic lasers market is expected to register a CAGR of 4.9%, over the forecast period. 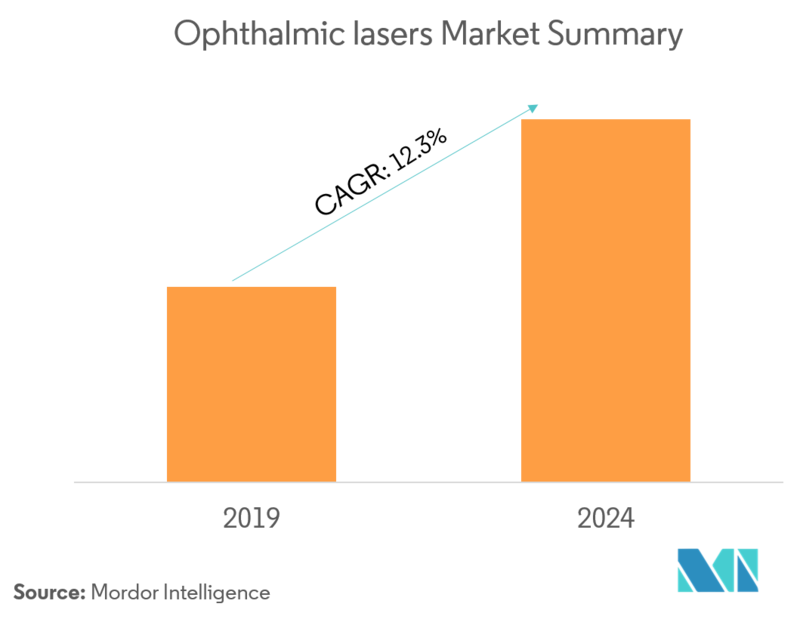 Factors that are responsible for the growth of this market include high prevalence of ophthalmic disorders, increasing initiatives to control visual impairment, and increasing regulatory approvals for ophthalmic lasers. FDA is aware that there has been, and continues to be, a considerable amount of research activity in the ophthalmic lasers arena. Hence, several number of eye lasers are receiving regulatory approvals, which help in driving the ophthalmic lasers market. In 2016, the China Food and Drug Administration (China FDA) had granted regulatory approval for the Ellex Medical Lasers Limited’s complete portfolio of glaucoma, vitreous floaters, and secondary cataract treatment lasers (collectively referred to as the “YAG laser” portfolio) in the Chinese market. With the company’s proprietary YAG laser portfolio now available to all ophthalmologists in China, the approval by China FDA had directly increased the sales in China, in 2017. Therefore, it is marked as an important milestone to expand its presence in the fast-growing market of Asia. Thus, the increase in regulatory approvals helps in driving the growth of the ophthalmic lasers market. The ophthalmic laser is a medical device, which is used to target ophthalmic cells, in order to operate the ophthalmic disorders. Ophthalmic lasers are used for treating a wide range of eye problems. It is used in a variety of ophthalmic disorder procedures that include cataract surgery, laser trabeculoplasty, retinal photocoagulation, and laser iridotomy. 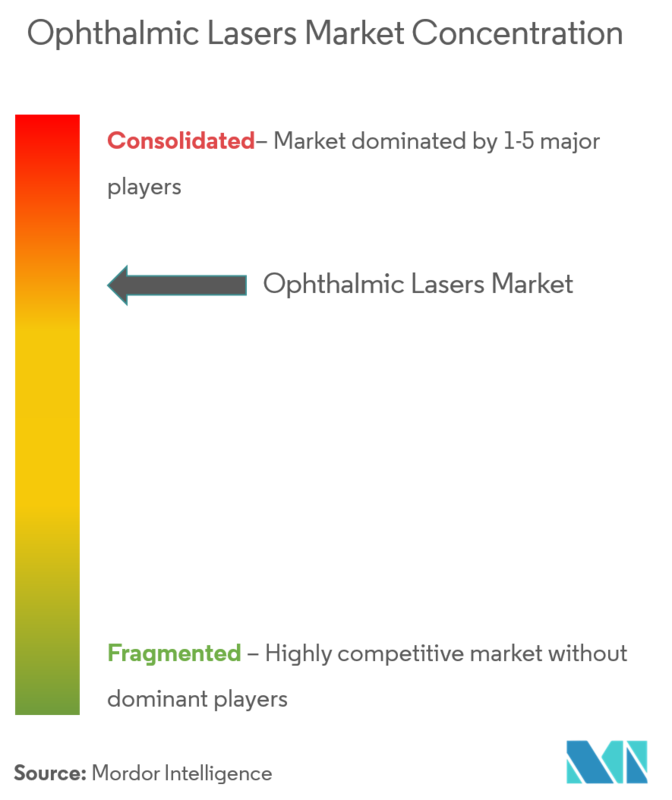 Significant accuracy, low-cost, safe procedure, and convenient ophthalmic tools have increased the demand for ophthalmic lasers in the market. 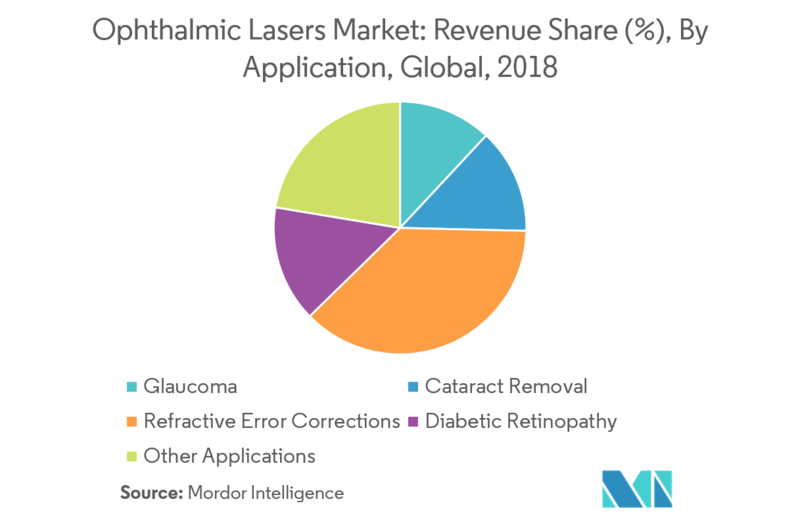 In the application segment of the ophthalmic lasers market, refractive error corrections are projected to have the largest revenue during the forecast period. This is majorly due to the factors, such as the escalating number of refractive error cases among, both, children and adult population. Furthermore, increase in the application of femtosecond lasers in refractive error surgeries is helping in the growth of this segment. 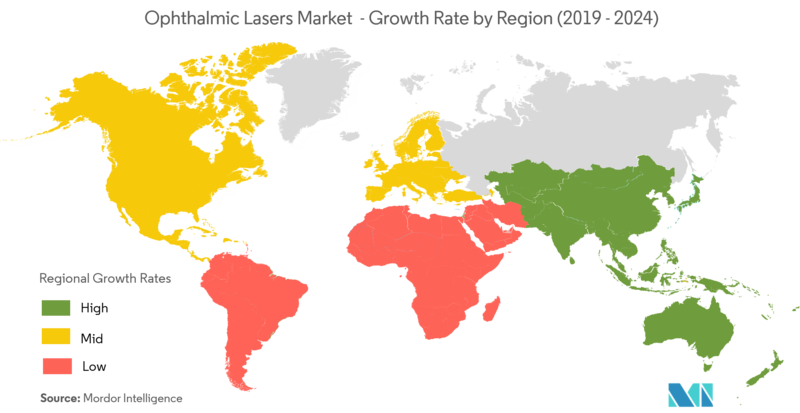 Currently, North America dominates the market for ophthalmic lasers, and is expected to continue its stronghold for a few more years. In the North American region, the United States holds the largest market share, owing to the increasing incidence rates of ophthalmic problems and increasing healthcare expenditure in the country, as well as the development of sophisticated healthcare infrastructure in the country. The ophthalmic market is moderately competitive and consists of several major players. In terms of the market share, few of the major players currently dominate the market. With rising incience of ophthalmic cases and increasing geriatric population, few other smaller players are expceted to enter the market. Some of the major players of the market are Alcon Laboratories Inc. (Novartis AG), Johnson & Johnson Surgical Vision Inc., Bausch & Lomb Incorporated (Valeant Pharmaceuticals International Inc.), Ellex Medical Lasers Limited, and IRIDEX Corporation, among others. Johnson & Johnson Surgical Vision Inc.
6.1.2 Johnson & Johnson Surgical Vision Inc.